Agri-mectin Pour-On provides the proven broad-spectrum internal and external parasite control of ivermectin in an easy to use, convenient application. The formulation should be applied along the topline in a narrow strip extending from the withers to the tailhead. Dosage rate of 1 mL for each 22 lbs of body weight in cattle. We have the Agri-mectin Pour-On Gun available as well to make applying the correct dosage a snap! AgriLabs Amino Acid Solution (Concentrate) is used as a supplemental nutritive source of concentrated amino acids, B complex vitamins, dextrose, and electrolytes. Administer orally as a drench. Safe for use in cattle and horses. The usual recommended dose in adult cattle and horses is 50 to 500 mL depending on animal size and condition. AmproMed for Calves (amprolium) by Bimeda is a liquid, oral solution that aids in the treatment and prevention of coccidiosis caused by Eimeria bovis and E. zuernii in calves. It effectively breaks up the coccidia life cycle. Specifically for both the prevention and treatment of coccidiosis in beef and dairy calves. Short withdrawal of only 24 hours after the last administration. Economical treatment with one gallon of concentrate treating 1600 gallons of drinking water based on a 21-day prevention regimen. Conveniently treat the entire herd through the drinking water. Easy to mix the concentrated solution disperses readily into the drinking water. Safe and approved by the FDA. Withdraw 24 hours before slaughter. A withdrawal period has not been established for this product in pre-ruminating calves. Do not use in calves to be processed for veal. AgriLabs Anti-Diarrheal Bolus is indicated for use as an aid in relief of simple non-infectious diarrhea in horses and cattle. Administer orally. Give 2 boluses to adult cattle and horses. Repeat treatment at 4-6 hour intervals as needed. Discontinue use of product after 3 days. Carob flour, pectin, and magnesium trisilicate, in a sugar and starch, palatable base. Aspirin Boluses by AgriLabs are a non-steroidal, anti-inflammatory analgesic-antipyretic. For use orally as an aid in reducing fever and in relief of minor muscular aches and joint pain in cattle and horses. Available in 240 gram and 480 gram. Bickmore Gall Salve for horses is a proven medication since 1892. It treats any wound, cut, sore, or scrape a horse can get. Gall Salve is a multipurpose, topical antiseptic ointment made with a unique combination of emollients to soften, soothe and lubricate damaged skin. The formula will not rub or sweat off, making it ideal for healing while the horse works. Gall Salve helps eliminate itching and irritation of eczema, fungus, and ringworm. Using it on scratches will allow the scab to be removed without pain and fights the infection beneath the scab. Safe and effective healing agent that is ideal for sores from girths and harnesses. AgriLabs Bismuth is a palatable oral suspension for use as an aid in controlling simple diarrhea in cattle, horses, dogs and cats. Safe for use in foals and calves. If diarrhea persists after using this product for 2 days, consult veterinarian. BootHill pellets place packs provide a pre-measured amount of rodenticide reducing waste for maximum economic savings. They work best in locations where bait needs to be protected from contamination or moisture until the rodents find it and consume it. There is no need to open place packs or touch the bait. The special place pack film allows the pellet’s attractive peanut aroma to escape, luring rodents to gnaw open the place packs and feed. Allows proper placement in hard-to-reach baiting locations. BootHill pellets place packs eliminate user exposure during placement. This supplement contains high levels of vitamins to support nutritional levels in cows which may help with reproduction performance and maintaining the immune system. This feed supplement should be used during breeding, transition, and before & during calving. Application of the capsule before calving improves the health of the newborn calf by giving the vitamin amounts necessary for proper growth and maintenance. Assures more nutritious colostrum milk. Feed 2 capsules at freshening and 7 days pre-calving for best results. Feed 2 capsules 7 days before breeding. The Bovikalc bolus will disintegrate quickly in the rumen. The calcium chloride is available immediately, while the calcium sulphate will provide sustained release of calcium. Provides both quick and sustained calcium supplementation that supports blood serum calcium levels at a time when calcium is in great demand. A specially formulated and designed bolus helps provide a safe administration and better calcium availability. Bovikalc provides calcium when cows need it most. Bovikalc helps fresh cows maintain healthy calcium levels for maximum milk production. Immediately after calving, cows must adjust to the high levels of calcium loss through milk and colostrum, with the lowest calcium levels occurring in older cows about 12 to 24 hours after calving. Bovikalc offers fresh cows essential calcium in two ways. Calcium chloride is available immediately. Calcium sulfate provides sustained release of calcium during the post-calving period. Two Bovikalc boluses can provide enough calcium to keep cows above subclinical hypocalcemia levels. Administering an oral calcium supplement to cows at calving and again 12 hours later as directed can provide much-needed supplemental calcium when blood calcium levels are at their lowest. Bovikalc is safe and easy to administer with its no-mess, fat-coated bolus. The unique bolus dissolves completely within 30 minutes after arriving in the rumen, for quick utilization. The fat coating is also gentle on the throat, making administration simple for workers and safe for cows. Herds with an anionic salt program can also benefit from adding Bovikalc. Anionic salts can reduce cases of subclinical hypocalcemia, but may not eliminate it. Research indicates that herds with an excellent anionic-salts program may see a benefit to supplementing their fresh cows with the oral calcium supplement Bovikalc to further reduce subclinical hypocalcemia. Calcium Gel Plus Selenium by AgriLabs supplies these elements to ensure optimal nutritional levels before, during, and even after calving. Give just one tube prior to, or after, calving and a second tube 12 to 24 hours after calving. NEVER administer more than one tube in a 24 hour period! Calcium Gel Plus Vitamins by AgriLabs is a nutritional supplement for dairy cattle. Source of Vitamin A, Vitamin D, and Calcium. This preparation supplies those elements to ensure normal levels in the blood before, during and after calving. Give one tube 6-12 hours prior to calving. Give another tube within 6-12 hours after calving. Water, Calcium Chloride, Tri-Calcium Phosphate, Xanthan Gum, Vitamin A Acetate, Vitamin D3 Supplement, Cyanocobalamin (Vitamin B12), Riboflavin. AgriLab's Calcium Gluconate 23% Solution is a sterile, preservative-free solution. To be used as an aid in the treatment of parturient paresis (milk fever) in cattle caused by calcium deficiency. Can be administered intravenously, intraperitoneally or subcutaneously. This nutritional calf supplement is designed to support optimum health and stimulate appetite. CalviOne is formulated with the VanBeek Natural Science compound to maintain the GI tract and support healthy dairy and beef calves through the daily demands of production life. Promotes a healthy immune response. Feed 2 grams per quart of liquid from Day 2 - weaning. CalviDrops provide vitamins and trace minerals essential for proper growth and development in calves. CalviDrops help to maintain a calf's immune system. Feed 1-2 capsules within 6 to 12 hours after birth or with first feeding of colostrum. Repeat on days 5-7 with 1-2 capsules. AgriLabs Chlorhexidine Solution 2% is an antiseptic and antimicrobial disinfectant which provides fast-acting activity against a wide range of micro-organisms. Especially effective against those commonly present on the skin. Chlorhexidine solution is contains non-toxic, non-irritating agents possessing a wide range of antiseptic and antimicrobial activity against organisms which infect the skin, such as bacteria, fungi, ringworm, and yeast. Rinse area for disinfection with an ample amount of Chlorhexidine Solution. Wipe away excess and pat dry with a sterile gauze or sponge. Co-Ral 1% Livestock Dust is for direct animal use on beef and dairy cattle against a variety of flies and lice. 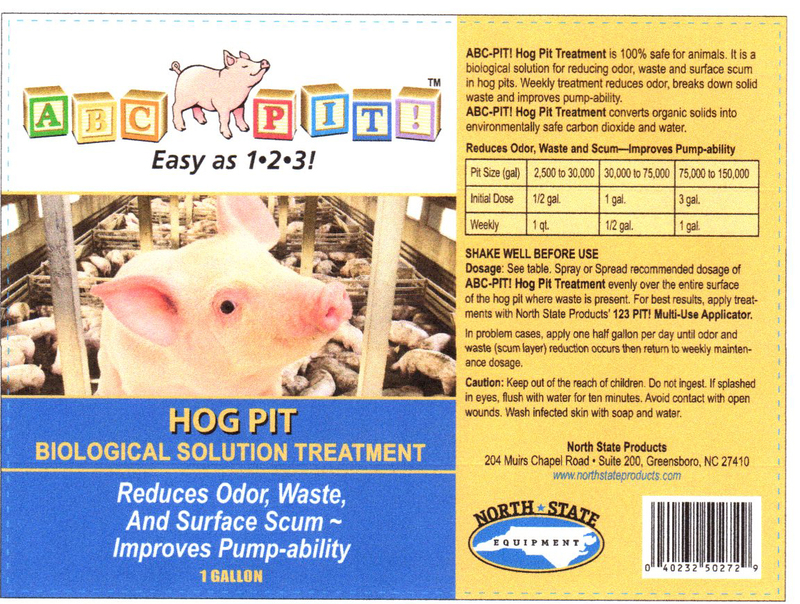 Controls lice on swine. Offers effective control of the horn fly species as part of a fly control program in cattle. Aids in reducing face fly population. Colostrx CR Colostrum Replacer is formulated to replace the essential maternal colostrum for newborn dairy and beef calves. This formula provides an excellent alternative to maternal colostrum. Colostrx CR delivers a consistent, high-quality dose of globulin protein and other important nutrients essential to the newborn calf. Dehydrated first-day bovine colostrum, dried milk proteins, viable lactic acid bacteria, essentials vitamins, and minerals. Colostrx CS Colostrum Supplement is an aid in the treatment of failure of passive transfer of immunity in newborn calves. Use when maternal colostrum supply is limited or poor quality. Beneficial when the calf has trouble suckling or has experienced a difficult birth. Aids in the prevention of death associated with Escherichia coli K99. Can be fed to baby calves within the first 24 hours after birth. Contains 50 grams of protein. Convenient formula mixes easily. This Compudose and Encore Implant Gun from Elanco is an implant gun to be used with either Compudose or Encore implants. Use for cattle. Implants cannot be applied without the use of an implant gun. Elanco 3 pack of implant replacement needles to be used with Compudose and Encore Implant Gun. Compudose and Encore implants aid in weight gain for cattle. Compudose (estradiol) Implants from Elanco are indicated for increasing the rate of weight gain in suckling and pastured growing steers. Improves feed efficiency and increased rate of weight gain in confined steers and heifers. Compudose Controlled Release Implant will provide an effective daily dose of estradiol for at least 200 days. No additional effectiveness may be expected from reimplanting in less than 200 days. Do not use in veal calves or animals intended for breeding purposes. For subcutaneous ear implantation in steers and heifers only. Each Compudose (estradiol) silicone rubber implant contains 25.7 mg estradiol and is coated with not less than 0.5 mg of oxytetracycline powder as a local anitbacterial. A Compudose/Encore implanter must be used to implant cattle. Pour-On Insecticide for use on beef and dairy cattle of any size. Can also be used on lactating dairy cattle. Horn flies, face flies, biting lice and sucking lice. D-Horn Paste by Dominion Veterinary Laboratories LTD is indicated to prevent horn growth and remove horn buttons on calves. Apply a thin film on horn buttons as soon as they can be felt. Scrape the wax off the bud and then cover the bud with paste. Use rubber gloves and rub the paste well into the bud. As with hot iron dehorning, if part of the root is left intact, it will grow. The whole area of the bud root must be covered. Isolate calves for 30-60 minutes to prevent paste removal by rubbing. Protect calves from rain or snow for 6 hours to prevent the paste from running into the calf's eyes. D-Horn Paste 85 g treats approximately 40 calves. AgriLabs Dextrose 50% Solution is indicated for use as an aid in the treatment of acetonemia (ketosis) in cattle. 100 mL to 500 mL depending on size and condition. Can be used for: calves, lambs, kids, crias, pigs, and foals. Easy to mix and clean up. Contains patented hydrophobic citrus fiber. Diaque is highly palatable so calves accept it without a problem. It can be mixed with water, milk or milk replacer and easily remains in solution so calves receive the recommended feeding. Diaque is especially beneficial for calves experiencing stress due to a change in feed or environment by providing them with essential energy and electrolytes. Ear Mite Killer Lotion with Aloe works on cats, dogs, and horses. It works on contact to kill and repel ear mites, flies, gnats, mosquitoes, fleas, ticks, lice and mange mites on skin surfaces. Safe for foals and safe for puppies and kittens over 12 weeks old. Ear Mites feed on tissue debris and secretion from the ear canal lining. With repeated irritation, the ear canal thickens and debris builds up within the ear canal. This debris, caused by mite waste, with dead tissue and fluid resembles coffee grounds. Dogs and Cats: Do not put treatment directly on broken skin or an open wound. Treatment may be applied on a bandage. Do not use on puppies or kittens under 12 weeks old. Consult a veterinarian before using this product on debilitated, medicated, aged, pregnant, or nursing animals. To kill and repel ear mites: Clean ear to remove built-up wax and dirt. Gently dry ear with a cotton ball or soft cloth and apply a thin film of treatment. The treatment may be applied daily for 7 to 10 days. To kill Ticks: Make sure treatment covers tick. To use as a repellent: Spread treatment lightly on outer and inner surface of the outer ear and between the toes before animals enter infected area. Do not repeat treatment for 3 to 5 days. Horses: Before application remove dirt or debris by brushing or washing with a mild shampoo. Allow to completely dry. Apply a light film to affected areas daily, massaging into the skin for 2 to 3 days. Then apply every 3-5 days as needed. Edema Mint Udder Cream by AgriLabs is an all natural cream containing Winter Green Oil and Japanese peppermint oil. This formula improves blood circulation and helps reduce the pain and swelling associated with udder edema in dairy cows. Contains Aloe Vera and Vitamin E to moisturize and soothe dry and chapped skin. May also be used as a compliment to conventional antibiotic mastitis treatments. No milk discard with Edema Mint udder cream. Rub about 10 cc of the cream into the udder after milking and gently massage. Re-apply for 2 to 3 consecutive milkings. Do not rub into open wounds or the teat end. Encore (estradiol) implants from Elanco are indicated for increased rate of weight gain in suckling and pastured growing steers. Use for improved feed efficiency and increased rate of weight gain in confined steers and heifers. An Encore Controlled Release Implant will provide an effective daily dose of estradiol for at least 400 days. No additional effectiveness may be expected from reimplanting in less than 400 days. Do not use in veal calves or in animals intended for breeding purposes. Each Encore (estradiol) silicone rubber implant contains 43.9 mg estradiol and is coated with not less than 0.5 mg of oxytetracycline powder as a local antibacterial. A Compudose/Encore implanter must be used to implant cattle. EnterVene-d is for vaccination of healthy cattle 2 weeks of age or older as an aid in the prevention of clinical disease due to Salmonella dublin. EnterVene-d is USDA approved as an aid in the prevention of clinical disease due to Salmonella dublin. Proven to reduce clinical signs.